July 113 AD. Seven peaceful years have passed since the successful conclusion of emperor Trajan’s Dacian war. Marcus, now a Roman senator and loyal if lukewarm supporter of the powerful senatorial faction committed to world conquest, finds meaning in his military charity work and seeing his family grow and prosper. But to the east in the Roman provinces bordering the mighty Parthian empire, trouble is brewing. 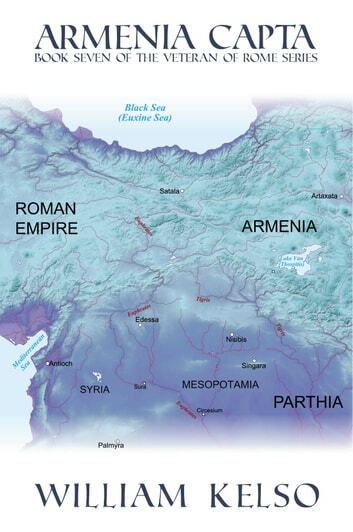 The aging emperor Trajan has set his sights on the strategically important kingdom of Armenia and has resolved that nothing is going to stop him from waging a campaign of conquest on a scale not seen since Caesar’s Gallic wars. Meanwhile Fergus, Marcus’s son and now head of security for Hadrian, the rising star and leader of the faction committed to retrenchment, becomes embroiled in a major conspiracy who’s far reaching consequences will directly affect his family’s security and prosperity. Summoned to the east and promoted to Prefect of the Seventh Numidian Auxiliary Cavalry Ala, Fergus must turn his soldiers into the finest fighting force in the eastern armies and win back the favour of his patron if he wants to save his family from impending catastrophe. The saga continues. This book was very good but unfortunatley it will end with the next book.